This book helps students and practicing scientists alike understand that a comprehensive knowledge about the friction and wear properties of advanced materials is essential to further design and development of new materials. 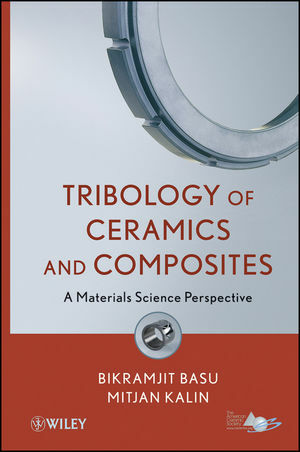 With important introductory chapters on the fundamentals, processing, and applications of tribology, the book then examines in detail the nature and properties of materials, the friction and wear of structural ceramics, bioceramics, biocomposites, and nanoceramics, as well as lightweight composites and the friction and wear of ceramics in a cryogenic environment. Bikramjit Basu, PhD, is Associate Professor in the Department of Materials Science and Engineering at the Indian Institute of Technology Kanpur (on leave) and currently at the Materials Research Center, Indian Institute of Science, Bangalore, India. Mitjan Kalin, PhD, is Professor and Head of the Centre for Tribology and Technical Diagnostics at the University of Ljubljana, Slovenia, where he is also Vice-Dean for Research and International Affairs in the Faculty of Mechanical Engineering.